For those who attend high-end, formal events more than just once or twice per year, owning a tuxedo is a must. 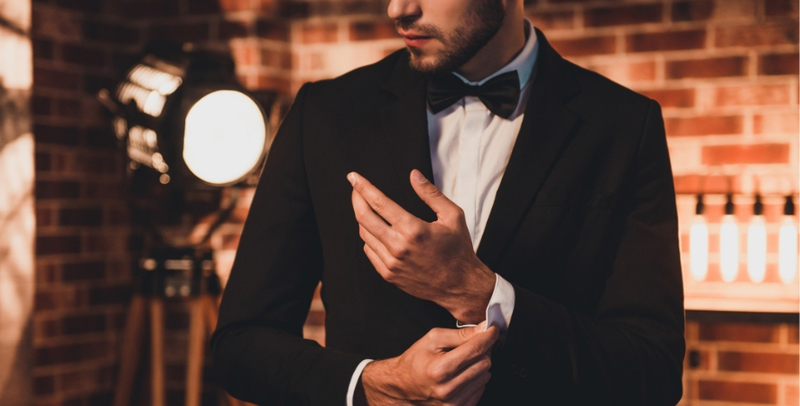 Besides the obvious pride of ownership that comes with making a purchase, you will save money in the long run from not having to repeatedly rent a tux. Black-tie events such as company parties, auctions, fundraisers, and weddings are excellent opportunities to show off your finest attire. These are the occasions that will live on in everyone’s memory (and photographs!) and it is crucial that you look your very best. Since opening the boutique in 2006, owners Alan and Jackie Schweon have used their 30 years of experience in the clothing and fashion business to provide the best men’s clothing services in the Feasterville-Trevose area. Their keen sense of style, fits, and the latest trends make Schweon’s the ideal place to go for all formalwear needs. On top of their expertise and superior brand selection, the excellent relationships they forge with clients. A visit to Schweon’s is guaranteed to always be a unique buying experience. Unlike many other clothing stores, Schweon’s inventory is constantly changing over so that they may offer the most current styles to their diverse clientele; this applies to the tuxedos available for purchase or rental, as well! Fast turnover ensures the latest styles and fits. Schweon’s tuxedos are of the highest quality, the best brands, and the most reasonable prices, ranging from $295-$800. All tuxedos are tailored for optimal fit and customized to an individual’s personal style; they are designed to make you look and feel as confident and polished as possible. Whatever the occasion, dress to impress for a night to remember.